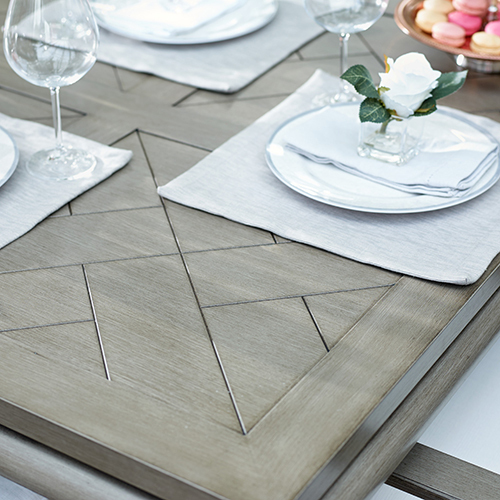 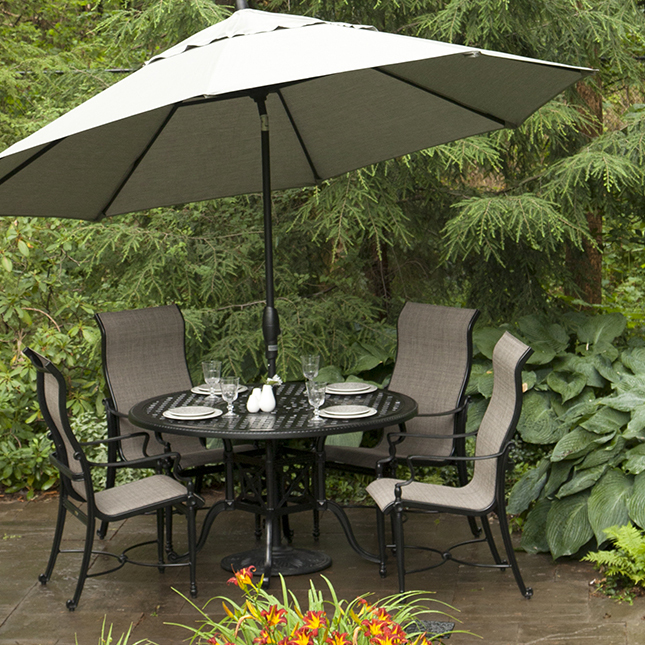 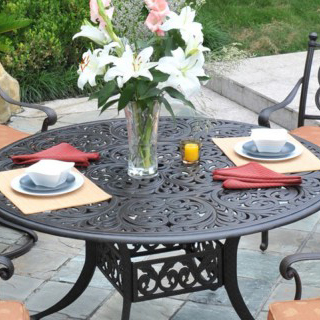 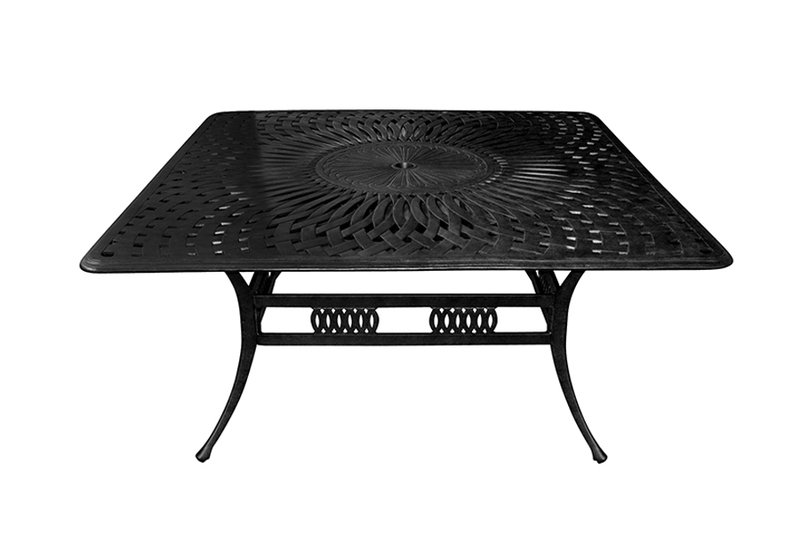 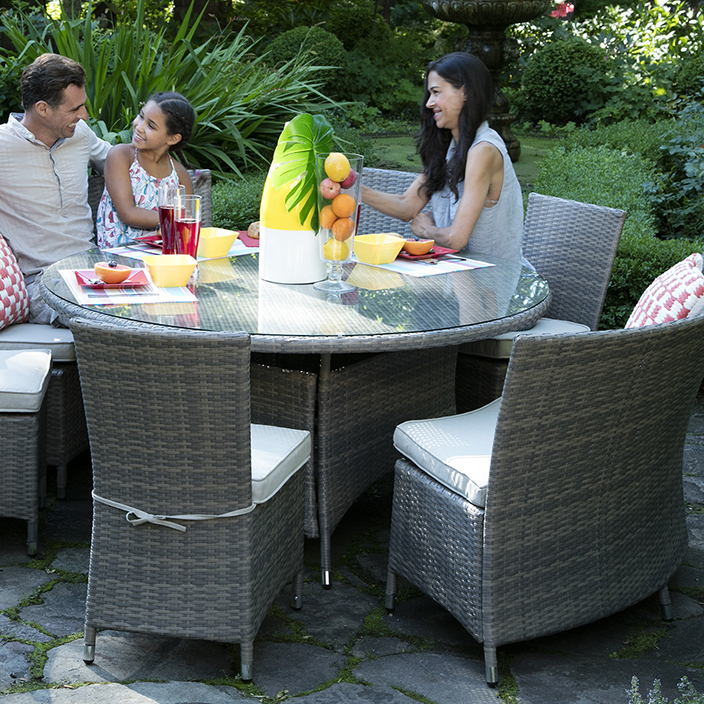 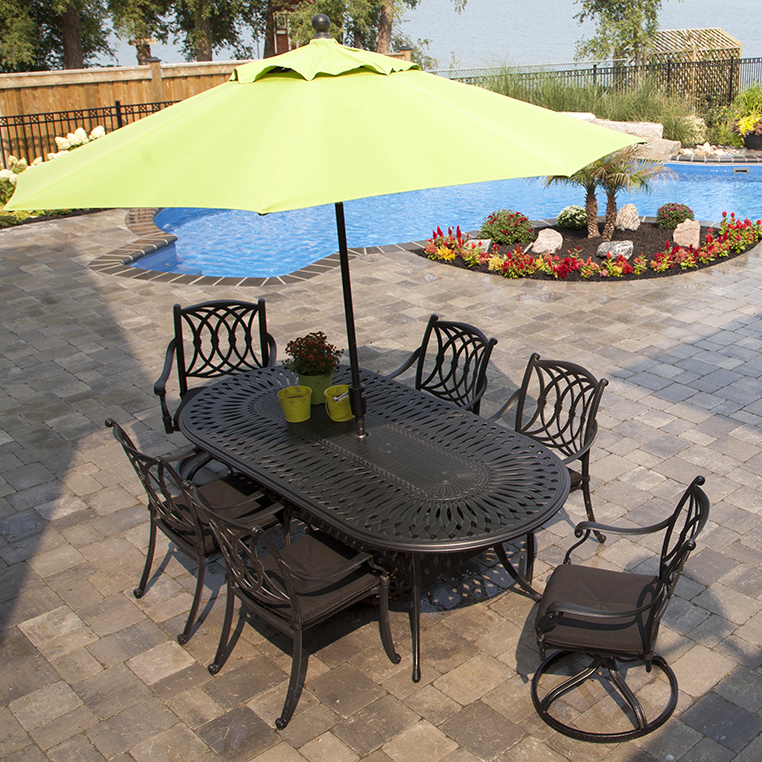 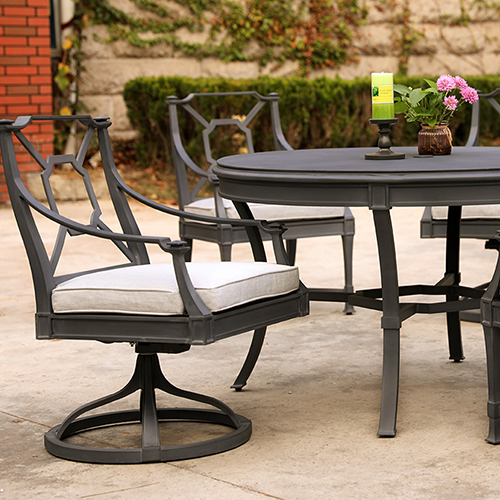 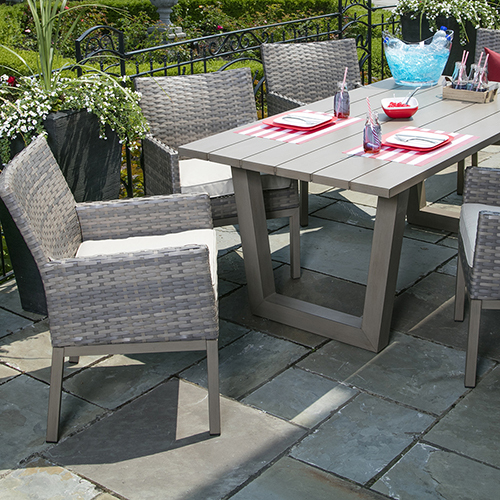 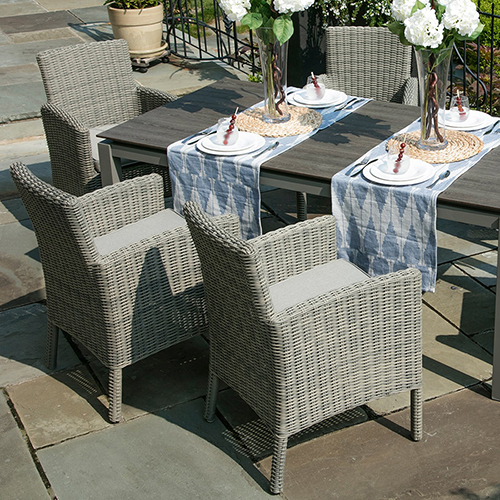 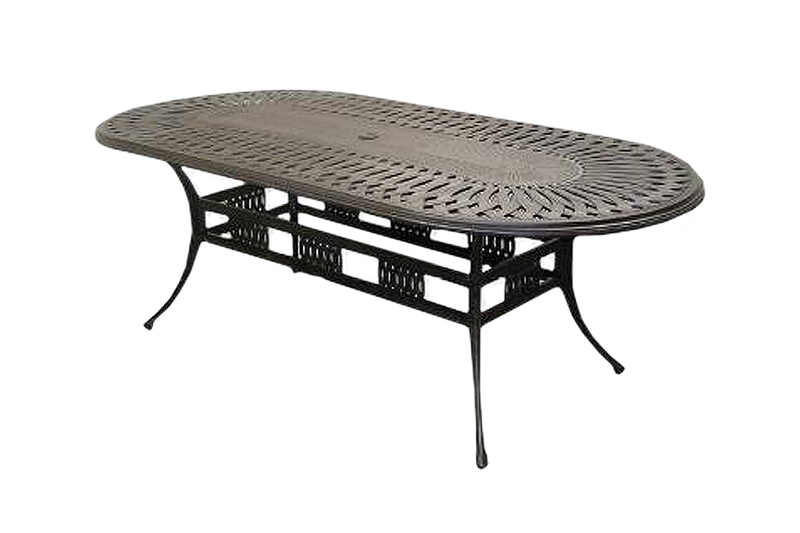 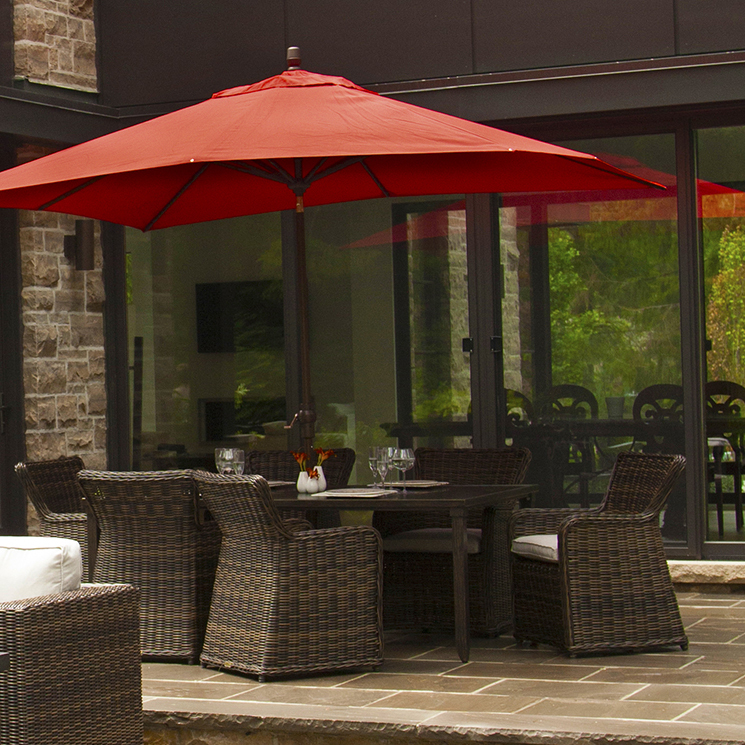 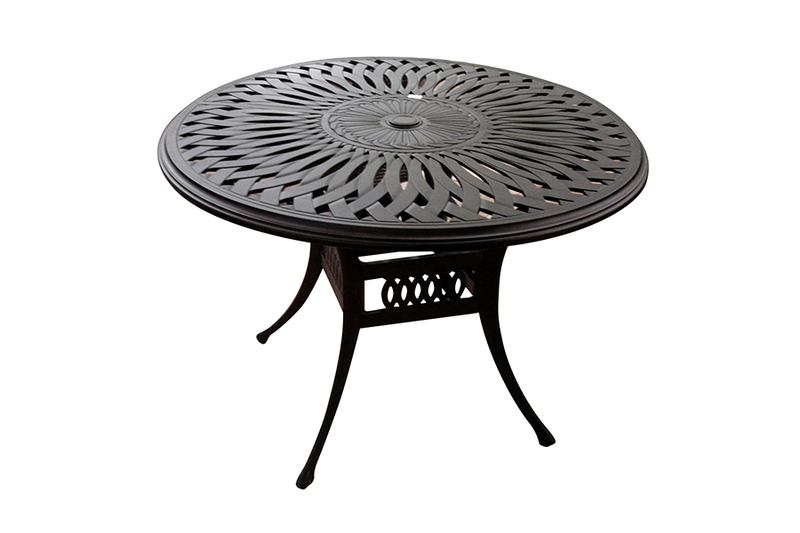 The Elizabeth Outdoor Dining Collection has been a top seller for years with classic design and rugged durability that easily withstands the wear and tear of seasonal weather. 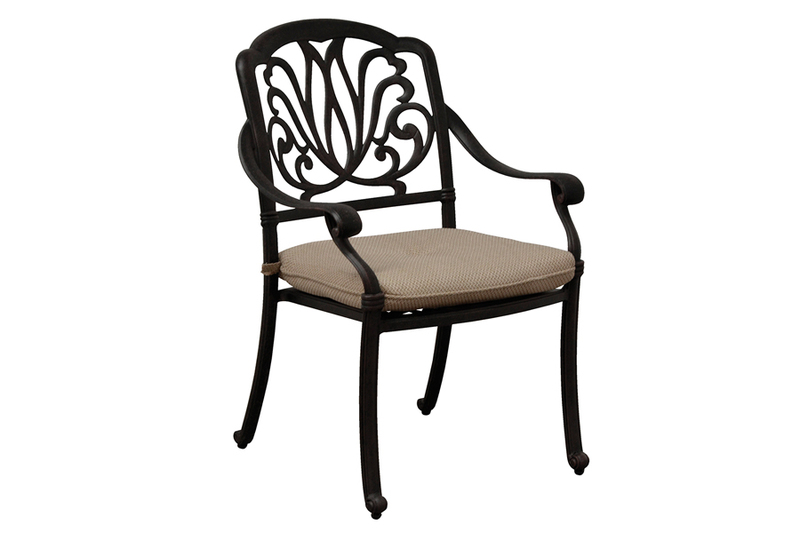 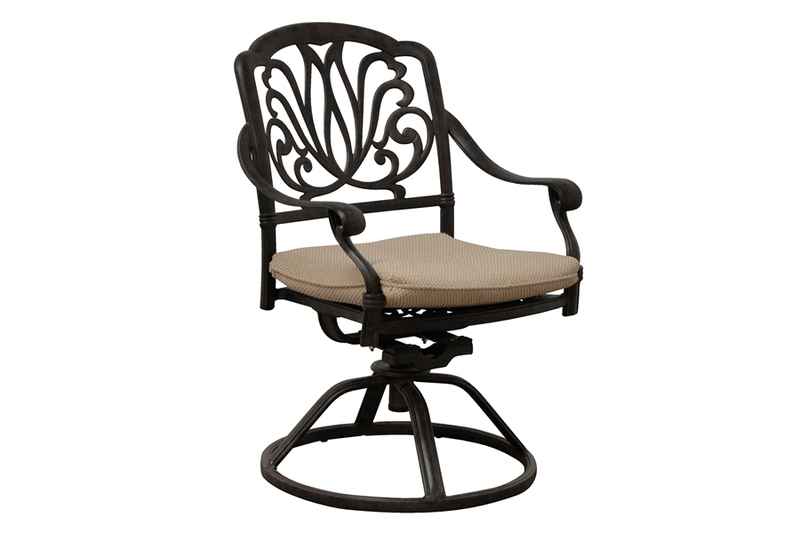 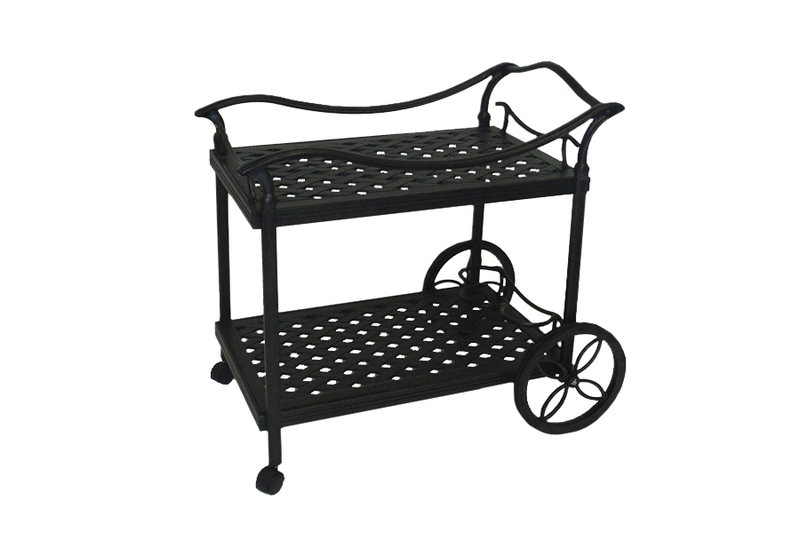 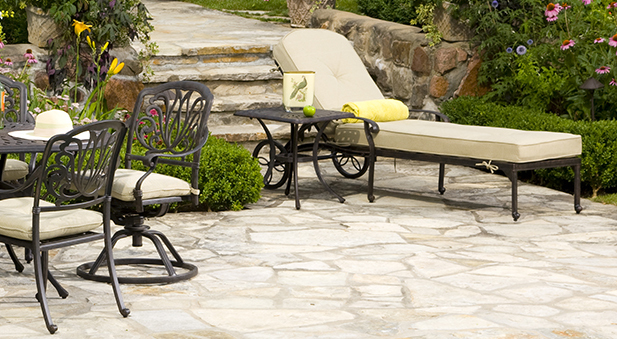 Cast aluminum frames provide the support for this beautiful collection while the intricate woven design showcases the true beauty of your backyard setting. 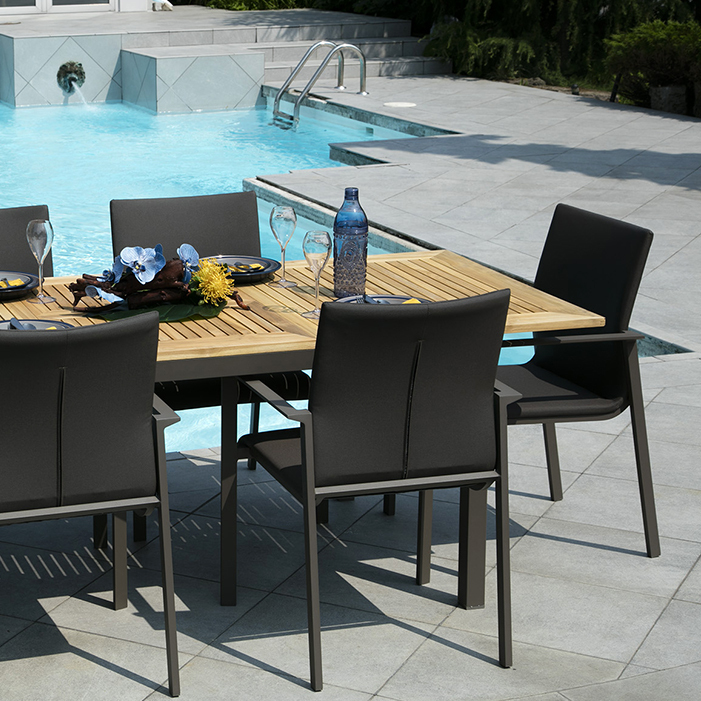 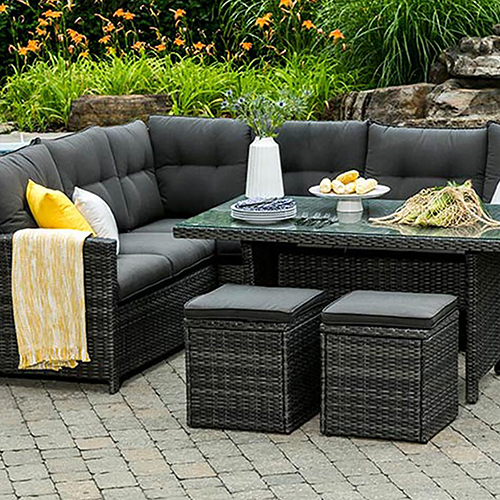 The Elizabeth Outdoor Dining Collection collection gives you all the options you need to take your backyard retreat to the next level. 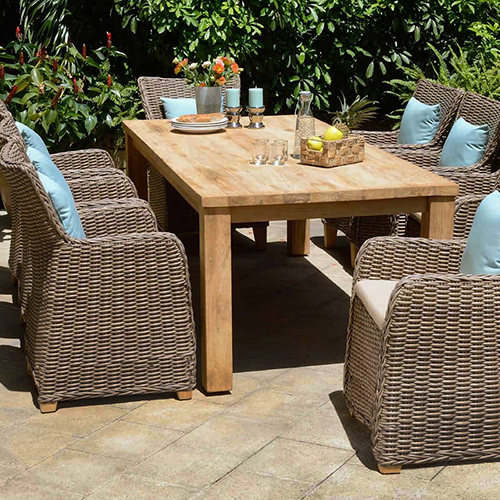 The chairs are designed for comfort with engineered back support allowing you to use these items with or without cushions and still feel relaxed.